"An excellent live show that covers the first three albums of La Coscienza di Zeno: symphonic progressive lovers, enjoy yourself !" 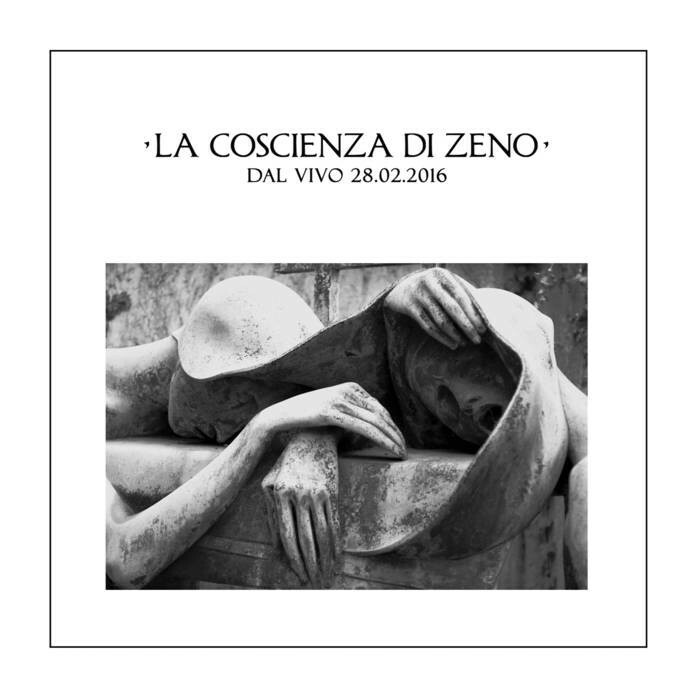 For those who have not yet had the opportunity to listen to this excellent progressive rock band La Coscienza di Zeno, this is a wonderful opportunity to fill a gap that they may blame themselves for the rest of their lives. "Il Giro Del Cappio" is a live recording of a concert given by the Italian group on February 26, 2016 in the Netherlands. On the menu, the musicians cover their first three albums, performing four tracks from their first eponymous album of 2011 ('Gatto Lupesco','Il Fattore Precipitante','Nei Cerchi del Legno' and 'Acustica Felina'), two, one opening and the other closing this live, of "Sensitiva" released in 2011 ('La Città di Dite' and 'Sensitività') and the "A side" of "La Notte Anche di Giorno" (2015) named "Giovane Figlia", of which one of its six parts gives its title to this volume. A set-list that allows you to browse through the work of La Coscienza di Zeno in a very pleasant way. On stage is the colourful symphonic progressive rock of the Italians, who prove that their studio performances are not the work of brilliant sound engineers but of their own talents. The compositions have the class and charm of Genesis' first albums, combining the sumptuousness of the melodies with a great harmonic richness and a touch of well balanced theatricality. Keyboards are omnipresent, with superb piano parts in particular, which does not prevent the guitar from glittering. Bass and drums bring the relief that gives all its flavor to the whole. As for Alessio Calandriello, he confirms his quality as a great singer, knowing how to charm and roar in an apparent ease. The pieces played are quite close to the originals, the absence of acoustic instruments used in the studio (violin, cello, flute) being often replaced by keyboards without any trouble. Only 'Nei Cerchi del Legno' and 'Giovane Figlia' are shortened by their respective ends, the first of the last 3 minutes sung, which transforms it into a long instrumental break, the second also of his last 3 minutes which, on the studio album, are a duo between Simona Angioloni's angelic voice and a violin, two absent ingredients which justify this cut. The sound recording is clear, the audience discreet and the presentations of the tracks and musicians very short: everything that interferes with the listening pleasure on many live shows is therefore avoided to the listener who can enjoy an excellent album made up of excellent music played by excellent musicians. Enjoy yourself !